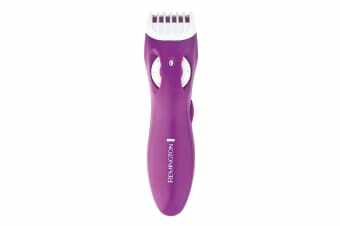 Trim and maintain sensitive bikini areas the effortless way with the Remington Beauty Trim Bikini Trimmer. The Remington Beauty Trim Bikini Trimmer comes with stainless steel blades for effective trimming and durability. This amazing tool features a removable and washable head that can be easily cleaned by rinsing it beneath a tap.